Eating disorders are a serious issue that people often don’t realize they have. Or perhaps they are unable to recognize a friend or loved one that suffers from an eating disorder. You can still be close to or even above your ideal body weight and suffer from an eating disorder. Patients who suffer from Bulimia Nervosa often appear to be at a healthy weight. However, they may be engaging in bingeing and purging behaviors. If they are constantly going to the bathroom following a meal, this may be a sign they are vomiting what they have just eaten. The main cause of eating disorders is body dissatisfaction. 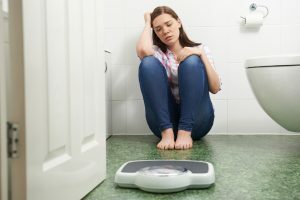 A person who might be suffering from an eating disorder will often spend an inordinate amount of time looking at themselves in the mirror, may make frequent negative comments about their physical appearance, and will insist they are overweight even if they aren’t. Individuals with eating disorders often develop eating rituals, such as moving their food around their plate, chewing for a long time before swallowing, cutting their food into smaller pieces, and taking much longer to eat. These rituals are meant to make it look like they are eating when, in fact, they are not. These are five facts about eating disorders you should know. For more health tips, visit us at The Benefits Store. Your blood pressure is measured as part of routine doctor office visits, but do you actually know what your blood pressure reading means? You’ve know high blood pressure is a bad thing, but why? Understanding what having high blood pressure means could help encourage you to live a healthier lifestyle and lower your risk for high blood pressure. According to the CDC (Centers for Disease Control and Prevention), around 30% of American adults had stage 1 high blood pressure in 2017. High blood pressure is one of the biggest risk factors for stroke, heart disease, kidney disease, and congestive heart failure. In 2013, high blood pressure was named one of the primary or contributing causes of death for over 360,000 Americans. One in every 6 American adults has high total cholesterol, which is linked to high blood pressure. 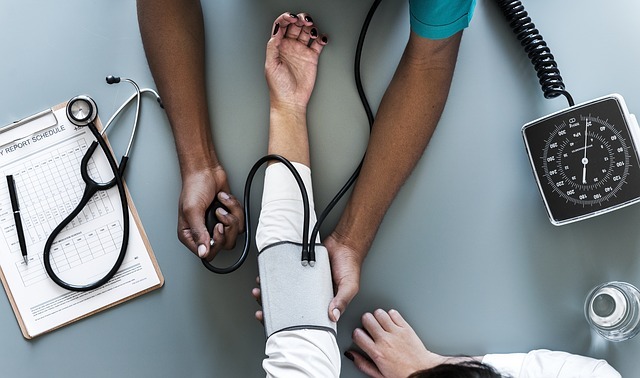 The health risks caused by high blood pressure costs the U.S. an estimated $46 billion a year in healthcare services, medication costs, and missed days of work. Anyone can be at risk for high blood pressure, but improving your overall wellness can help prevent it. Healthy lifestyle changes can also help prevent other potential health complications that are linked to high blood pressure. For more information about high blood pressure or for more health tips in general, be sure to visit us at The Benefits Store today. 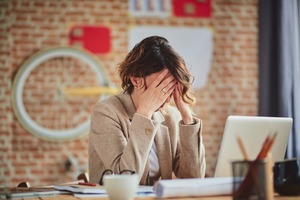 The pressure you experience at work can have a negative impact on your health. This is something that is widely known; we’re aware a stressful work environment can cause physical and mental health issues at home. However, a new study has revealed women, in particular, are prone to gain weight as a result of stress at work. The study was performed at Sahlgrenska Academy at the University of Gothenburg in Sweden. It included 3,872 participants; both men and women. Participants were investigated on three different occasions over a 20-year period. Their ages ranged from 30-50 or 40-60. The men and women that had little control in their work tended to gain more weight over the course of the study. However, long-term exposure to high job demands affected women much more than men. Major weight gain occurred over the course of 20 years for over 50% of the women who were subjected to high work demands. The gain in weight was roughly 20 percent higher than women who were subject to lower job demands. Researchers believe the reason women were affected long-term was possibly due to the combination of their job demands as well as the greater responsibility that most women have at home as well. Those factors often make it difficult for them to maintain a healthy weight because they may not have the time to exercise regularly. For more health news, continue visiting us at The Benefits Store. Drink lots of liquids – You’ll want to make sure to stay hydrated. To flush out the toxins in your body, be sure to drink lots of liquids, such as water or juice. Staying hydrated will help loosen congestion. Avoid liquids such as sodas and alcohol, which actually contribute to dehydration. 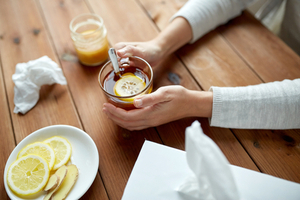 Sip on warm liquids – If you have a sore throat, sipping on warm liquids can be very soothing. It can also help to ease your congestion by increasing mucus flow. Warm liquids like chicken soup, tea, and warm water with lemon juice are all good options. Avoid drinking coffee. Gargle salt water – A sore throat is a common cold symptom that can be incredibly uncomfortable. Gargle an eight-ounce glass of water with a half teaspoon of salt to help soothe the pain. Add moisture to your indoor air – Adding moisture to the air inside your home is a good way to reduce congestion and prevent your throat from drying out. A cool mist vaporizer or a humidifier are both effective ways to add moisture to your air. 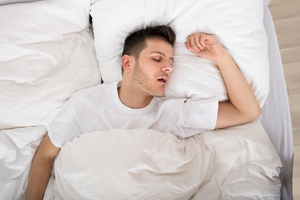 Get lots of rest – The most important remedy is rest. Your body uses a lot of energy fighting off a cold. The more rest you get, the more likely you are to recover quickly. If your symptoms are particularly bad and these home remedies aren’t quite doing the trick, then you may want to try an over-the-counter cough and cold medication. There are decongestants and antihistamines that are appropriate for patients ages 5 and older, and they may offer some relief from your cold symptoms. For more health tips and general advice, visit us at The Benefits Store today.